High-Intensity Interval Training (HIIT) has a lot of interest with workout enthusiasts these days. And for good reason. Its premise is to do short but sweet exercises that provide potentially the same benefits as endurance training. 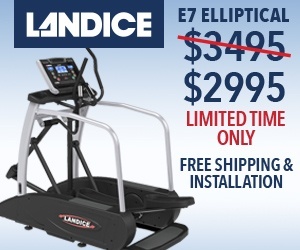 As the winter months roll in and find us inside more often trying to burn calories and stay fit, doing HITT workouts on a treadmill, bike or elliptical are a great alternative. The question is how much intensity and how many intervals do I need to do to be effective? According to a recent New York Times article, "How Short Can the Intervals in Interval Training Get", a new study in The Journal of Physiology might be a step toward settling both questions. Researchers at the University of Copenhagen and other institutions recruited 12 experienced male cyclists and extracted initial blood and muscle samples from them. The subjects were then put through three discrete workouts on separate days. One involved riding a stationary bicycle for 50 minutes at a moderate pace (about 70 percent of maximum aerobic capacity). The other two were high-intensity interval sessions. For one of them, the men pedaled as hard as they could for five seconds, then rested for 30 seconds; they repeated this sequence 18 times. The third workout consisted of all-out intervals lasting 20 seconds, followed by two minutes of recovery, a sequence repeated six times. Additional blood and muscle samples were taken immediately after each workout and then again three hours later. 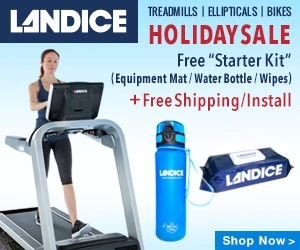 THE LANDICE BLACK FRIDAY SALE IS ON! The amount of energy expended during both interval workouts was about the same, the researchers calculated, even though the 20-second intervals added up to more total time at peak intensity (120 seconds) than the shorter intervals (90 seconds). But physiologically, the 20-second intervals stimulated greater increases in adrenaline and lactate, which seems to have led to higher levels of a protein, PGC-1alpha, that contributes to the creation of new mitochondria. Mitochondria create energy within cells, and having more of them can improve health and fitness. The five-second intervals were less stressful biologically, it seems, and their impacts comparatively muted. The moderate, 50-minute workouts also spurred the production of more PGC-1alpha in the cyclists’ muscles — but the biological process differed. The researchers concluded that it was principally the depletion of glycogen, a fuel source inside muscles, that led to higher levels of the protein, rather than large increases in lactate and adrenaline. Taken as a whole, these findings suggest that very short interval sessions can provide quick, potent exercise. But there is a limit to how short they can be, according to Jens Bangsbo, a professor of physiology at the University of Copenhagen and the study’s senior author. Five seconds of exercise does not seem to stress the muscles enough, he says, even if the effort is repeated. It is possible, he adds, that 15-second or even 10-second intervals might prove beneficial, a question he and his colleagues hope to explore in subsequent experiments. (They also want to study how women, older exercisers and untrained individuals respond to these workouts.) But for now, 20 seconds seems to be the “sweet spot,” Bangsbo says, for getting the greatest physiological gains from short intervals.